Rocklin Motorcyclist Fatality – A Rocklin motorcyclist fatality occurred late on November 4 when a rider struck a parked car on Placer West Drive. Rocklin Police arrived at the scene, along with emergency medical personnel, who pronounced the 24-year-old male rider dead at the scene of the collision. The name of the rider is being withheld until family has been notified. I want to extend my prayers and sympathy to the rider’s family and friends in their time of loss and sorrow. It is unknown at this time what transpired to cause the motorcycle rider to strike the parked car. The Rocklin Police Department is asking anyone with information about the crash to call them. The RPD is in charge of the investigation and exploring all possibilities into the cause of the accident. According to the National Highway Transportation Safety Administration, about 80 percent of motorcycle crashes result in fatalities or serious injuries. Although California riders are required by law to wear helmets, some do not use recommended headgear, which can increase the likelihood of injuries. 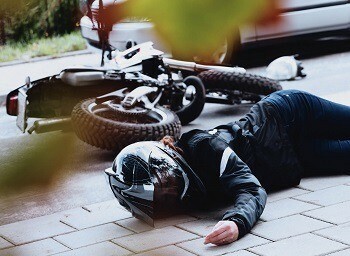 Ejection from a bike is also a common cause of injuries and death since a rider can strike other objects or the ground. There is a high risk of injury when a motorcyclist collides with a vehicle in its path. A motor vehicle is bulkier and heavier than a motorcycle and is equipped with a roof, door beams for added protection, seat belts and airbags that help to protect those inside. A motorcycle, on the other hand, is more maneuverable, can stop more quickly and can swerve effectively when it is called for. Since motorcycle riders die 28 times more often when in a collision with another vehicle, this stresses the importance of bike safety. Being properly licensed: A high percentage of motorcyclists in California are unlicensed. It is important for any biker to take the written test and demonstrate cycle skills because it reinforces the rider’s knowledge. Perform regular maintenance: Worn brakes or tires and oil or gas leaks can cause a motorcycle to crash, possibly resulting in a Rocklin motorcyclist fatality. Wear an approved helmet: Helmets for motorcycle riders are approved by the Department of Transportation and meet federal standards. All approved helmets have a label inside by the manufacturer and a DOT symbol on the outside. 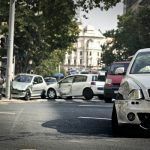 Obey traffic laws: Speeding, running red lights, and other traffic infractions cause accidents for motorcycle riders just as they do other motorists. Don’t drink and drive: Just as with motorists, drinking and driving or using drugs before getting on a motorcycle increases the odds of becoming a Rocklin motorcyclist fatality. In 2016, 25 percent of the fatalities to motorcycle riders showed that they were intoxicated. Many motorcycle fatalities are caused by the negligence of another person or entity. This may involve an aggressive driver that will pull into their lane, run a red light or other actions, forcing a motorcycle rider to take evasive action. Road defects can also contribute to a crash that isn’t the rider’s fault. The government entity responsible for the repair of upheavals, cracks, and potholes in the pavement, can be held responsible if one of these defects contributes to the demise of a motorcycle rider. 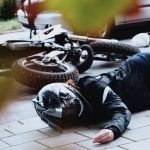 When you have lost a loved one in an accident where you think someone else was responsible, an experienced motorcycle accident lawyer can advise you. I’m Ed Smith, a Rocklin wrongful death lawyer. 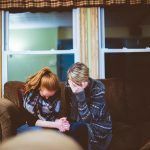 When you have lost a loved one because of negligence on the part of another individual or entity, you may be able to file a wrongful death lawsuit to recover financial damages for that loss. Of course, it does not help with your grief and sense of loss. However, it does make the financial end of moving forward without your loved one easier. For compassionate, free and friendly advice, call me at (916) 921-6400 in the Rocklin area. Outside the area code, I can be reached free of charge at (800) 404-5400 or through my online contact form. 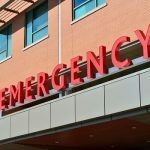 I’ve helped residents of Rocklin for 36 years to obtain the compensation they need and deserve in a variety of accident injuries, including truck accidents and pedestrian trauma. As a Million Dollar Advocates member, I join other trial attorneys who have won a verdict or negotiated a settlement for a client in excess of $1 million.